The fall alligator hunting season opens this week, marking the start of a lucrative few weeks for some in core Texas counties. Hunters sometimes catch upwards of $10,000 worth in one day in the Southern states, with meat, hides and heads all being sold. The whole industry is estimated to be worth $11 million a year. The American alligator was taken off the endangered species list in 1978, when numbers sprang back. It’s a recovery largely credited to the hunting industry, which motivated landowners to maintain and protect their wetland habitat. “Them being able to make money by selling these hunts has definitely saved our marshes. A lot of them would have drained them by now and done something else with the land,” said Amos Cooper, Texas Parks and Wildlife alligator program leader. The fall season in Texas’ 22 so-called “core” alligator counties opens Wednesday and runs for 20 days. TPW sells hide tags directly to people for hunting in wildlife management areas and tags are given directly to landowners who can sell them for hunting on their property. All the details can be found here, including recipes for what to do with alligator meat once you have caught one. Hunters in Louisiana went out for their first bites of the fall right before Labor Day. Third generation gator hunter Lance Nacio caught 24 in one day, according to an interview with Gulf Seafood News. Most agree that regulated hunting of alligators has saved them. Some, though, do question the ways hunters finally kill alligators. Opponents argue that many use inhumane methods like clubbing them to death. Texas Parks and Wildlife officials say it is necessary to hunt alligators in some areas because their numbers have gotten so high they are becoming a danger to people. 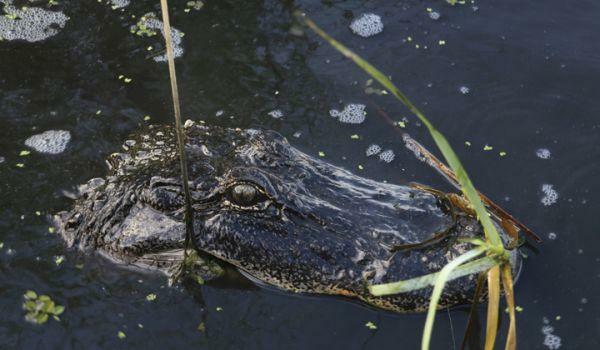 A spring season is open for the other 232 Texas counties, including Fort Bend, where according to Cooper the alligator population is doing very well. “You want to hunt them because you don’t want to get too many in a place where you’ve got too many around humans. That’s just a recipe for disaster,” Cooper said.